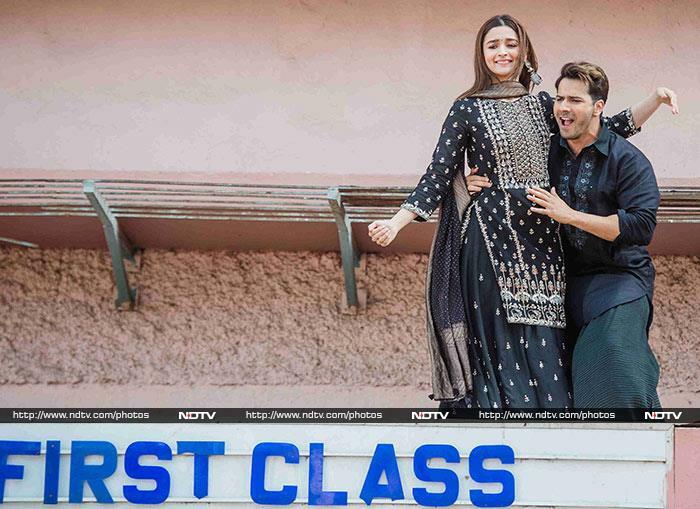 Alia Bhatt and Varun Dhawan made for some wonderful pictures and had plenty of fun at the launch event of Kalank song First Class in Mumbai on Friday. 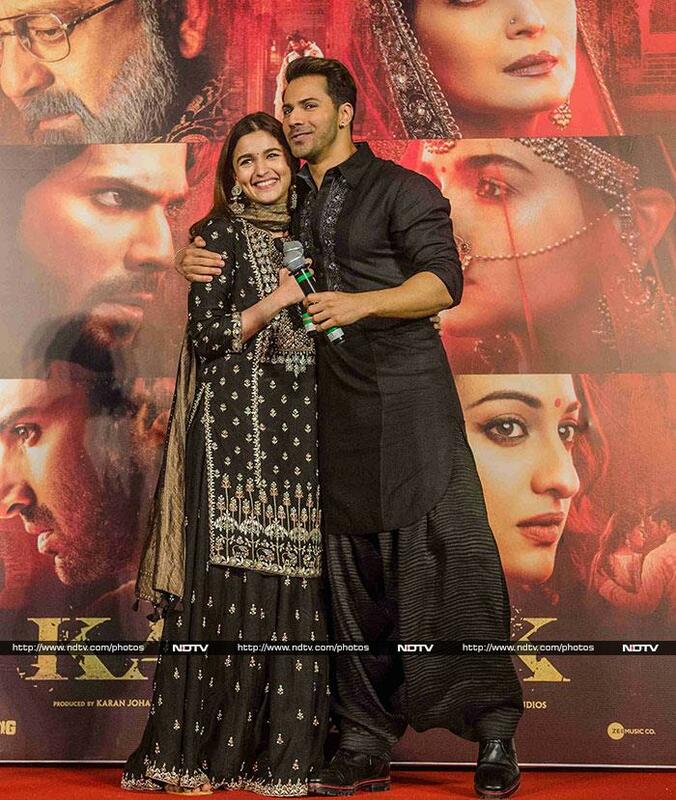 The Kalank co-stars were colour coordinated in black - Alia in a pretty Anita Dongre ensemble and Varun in kurta pyjama. Alia and Varun danced on the roof-landing of the Mumbai theatre amidst the flocking paparazzi standing below. Alia and Varun's pictures from the event are indeed First Class. What say? Again, hard to decide who has got better moves - Alia or Varun. Alia Bhatt spotted occupying her favourite place - Varun Dhawan's lap.